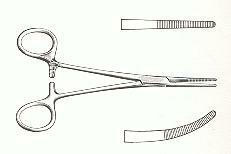 The Mayo-Hegar Needleholder is available 6", 7" or 8". The jaw has cross-hatch serrations and a groove cut for the needle. All three sizes are stainless steel and standard grade which means it is for regular use, not an operating room. Imported. Click here to get 6 inch Mayo-Hegar needle holders. Click here to get 7 inch Mayo-Hegar needle holders. 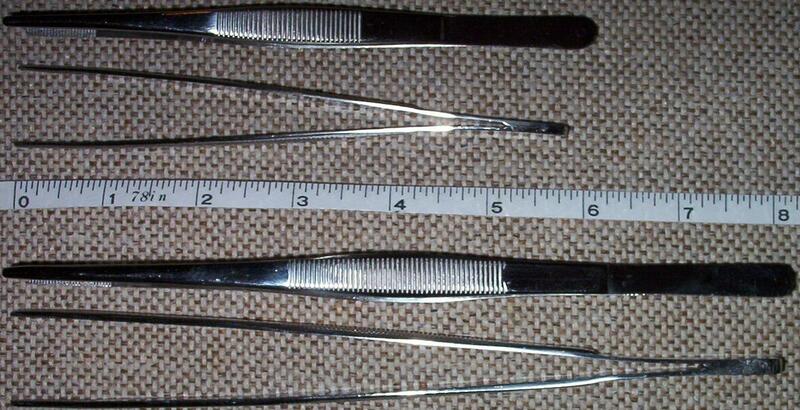 (this page): 8 inch Mayo-Hegar needle holders. Click here to get 5.5 inch Olsen-Hegar needle holders. Click here to get 6.5 inch Olsen-Hegar needle holders.